• Because of the emotional investment in buying a puppy, scam artists can take advantage of unsuspecting consumers. Take the time to educate yourself on the hallmarks of a responsible breeder and on common scams. • If you must buy a dog from someone who does not live near you, do your due diligence. Request references and speak to other people who have purchased dogs from this breeder. Ask if the breeder is a member of an AKC-affiliated club and contact that club to verify membership. • Beware of any breeder who seems preoccupied with the financial aspect of the transaction. Any reputable breeder will be far more concerned with the appropriateness of the potential pet home than what and when they are getting paid. Make sure you have clear expectations - ideally in writing - of how and when the pup will be paid for. • If you located a breeder through a web site, don't ever send money without speaking to him/her on the phone and checking their references/credentials first. Unscrupulous breeders and even outright scams can be represented by professional-looking web sites that lure you in with beautiful pictures of adorable puppies that don't actually exist. Be especially wary of any breeder who insists that you wire money and who calls to ask for more money to be wired to cover last minute shipping fees. • Beware of breeders who claim to have multiple ages of puppies ready to ship immediately. It's highly unlikely that your perfect puppy would be available for shipping on the very day you call. 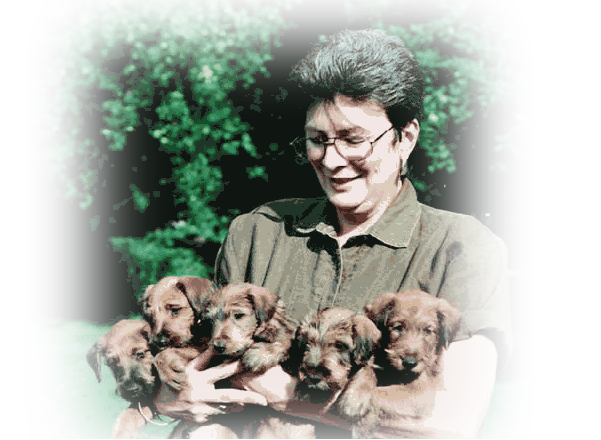 Placement of puppies takes several interviews before an individual puppies can be placed with new owners.